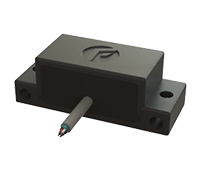 The ApexOne™ single axis analog inclinometer is part of the Apex family of products designed and manufactured in the USA by Fredericks specifically for use on heavy industrial machinery. Its wide linear angle range and analog output combined with its small footprint make it simple to integrate into new or existing equipment and designs. Dual-Axis RS-232 Inclinometer – The 0729-1759-99 RS-232 inclinometer utilizes a Fredericks TrueTILT™ wide-range electrolytic tilt sensor and RS-232 signal conditioner. Its robust plastic housing and epoxy potting provide excellent durability and environmental protection. This inclinometer has superior tolerances and unit-to-unit performance. Its small profile and economic design make it an ideal solution for a versatile range of applications in all sectors. 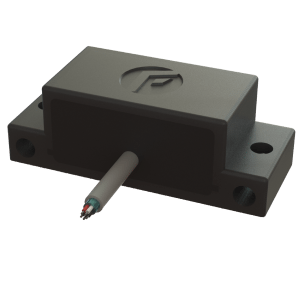 Dual-Axis RS-485 Inclinometer – The 0729-1760-99 RS-485 inclinometer utilizes a Fredericks TrueTILT™ wide-range electrolytic tilt sensor and RS-485 signal conditioner. Its robust plastic housing and epoxy potting provide excellent durability and environmental protection. This inclinometer has superior tolerances and unit-to-unit performance. Its small profile and economic design make it an ideal solution for a versatile range of applications in all sectors.